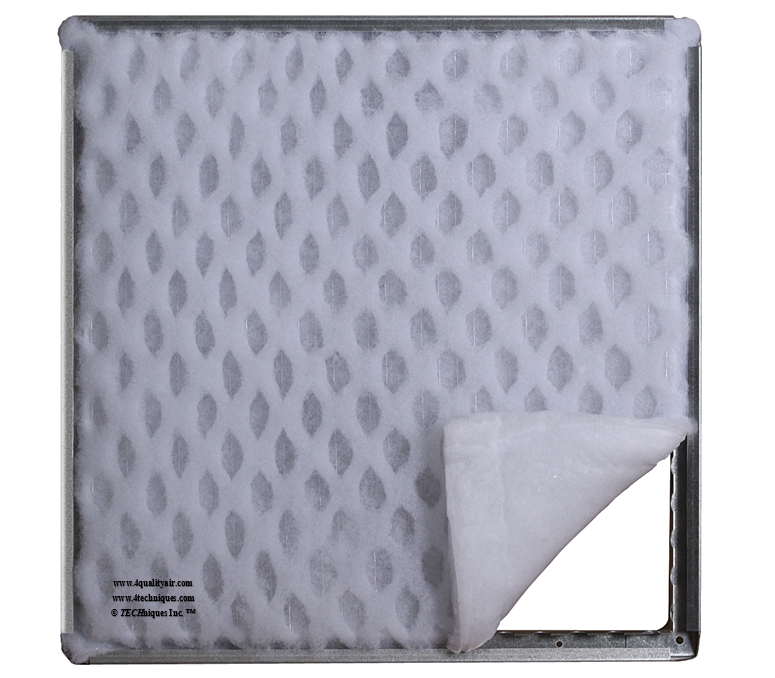 Best Spray Booth Overspray Arrestor! Its unique design holds up to five times more overspray than other filters, enabling you to cut your filter changes by up to 80%. 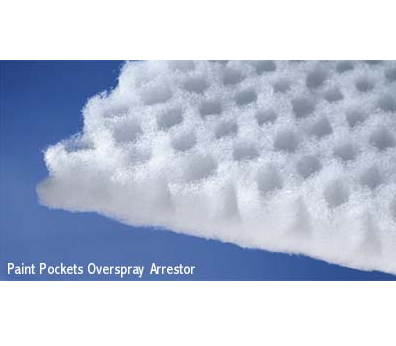 The three-dimensional "pockets" embedded in the front face of Paint Pockets more than double its surface area, allowing the arrestor to capture and hold very large quantities of overspray. 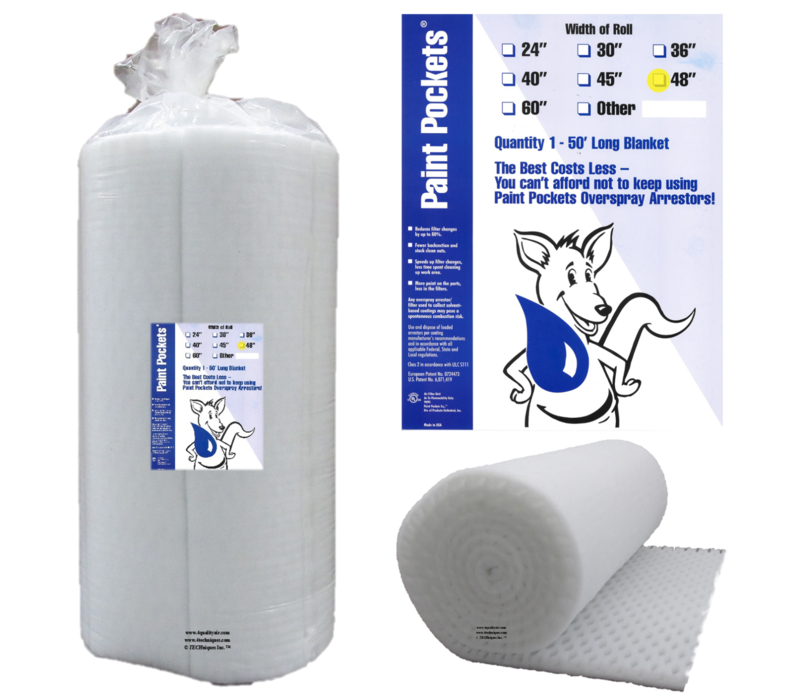 Paint Pockets arrestors have superior wet tensile strength. Arrestors loaded with wet overspray do get heavy, but they won't tear or sag. 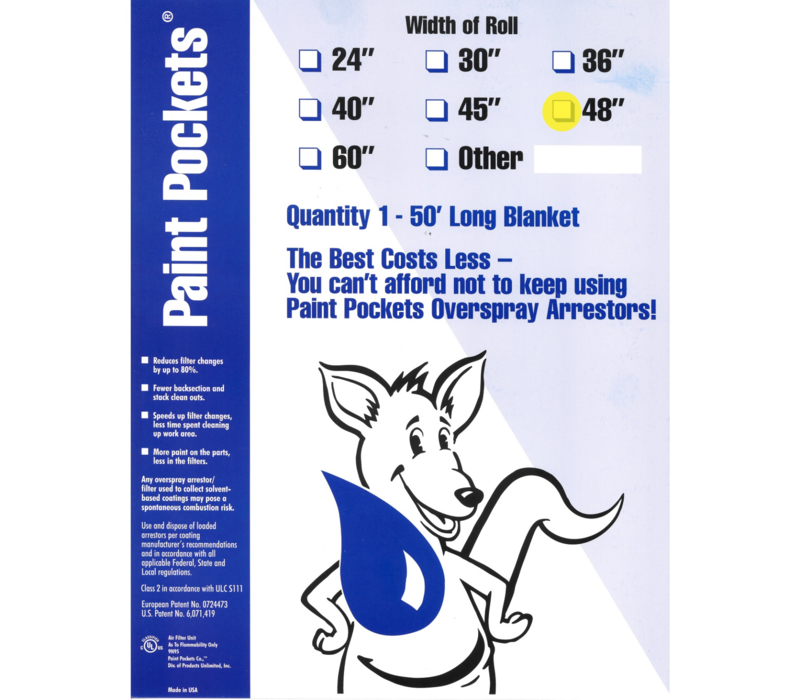 Its unique pockets enable Paint Pockets to accumulate significant quantities of overspray before it begins to noticeable restrict booth airflow. This feature permits you to "tune" your entire finishing process for maximum transfer efficiency and, more importantly, to operate in the optimum efficiency zone. 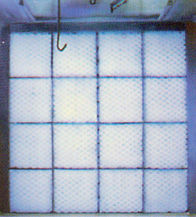 Increased transfer efficiency means more parts coated per quantity sprayed and longer intervals between filter changes. 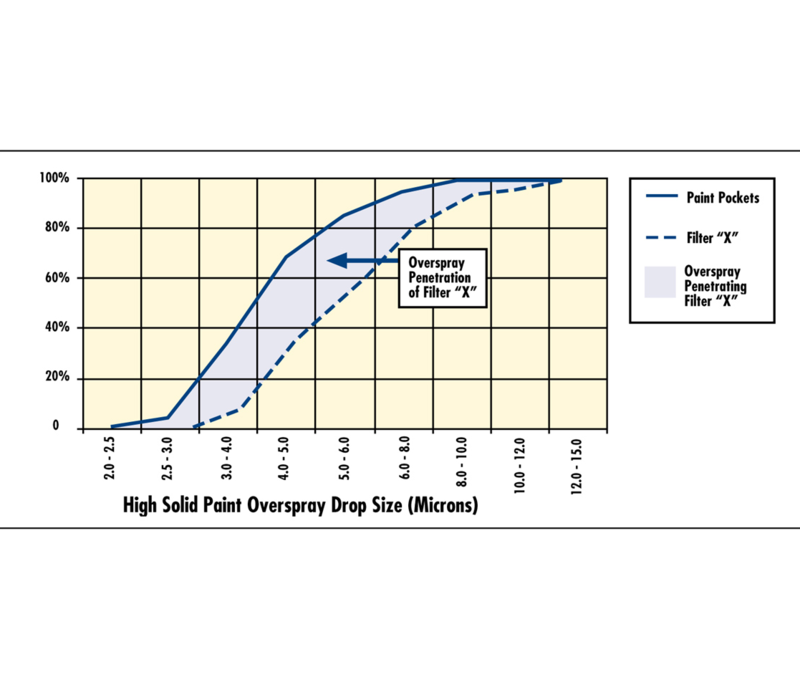 A higher percentage of the finish is coating parts instead of the arrestors. Paint Pockets now only removes overspray from your booth's exhaust air stream, its pockets assist in retaining overspray with the arrestor. 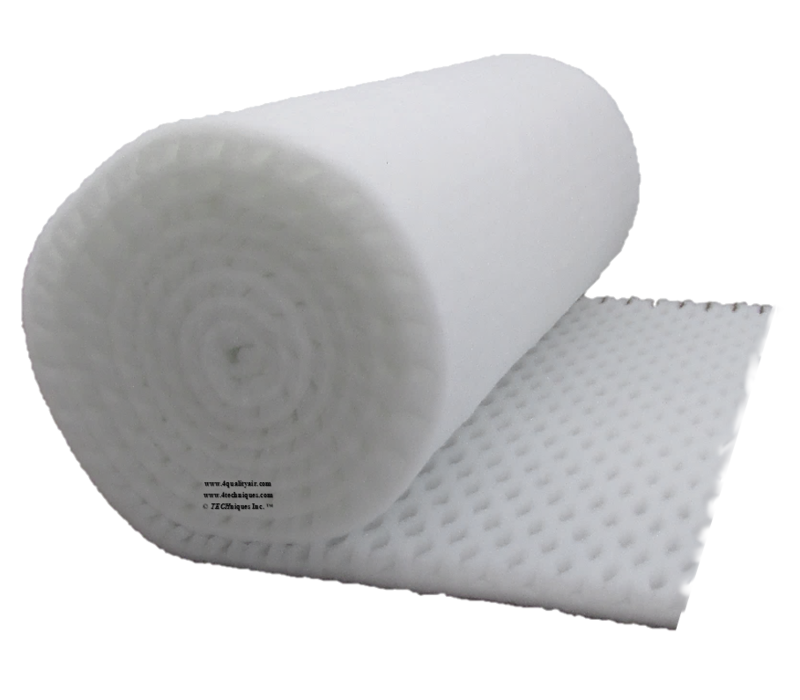 Reduced run-off means less booth floor clean-up and quicker filter changes. 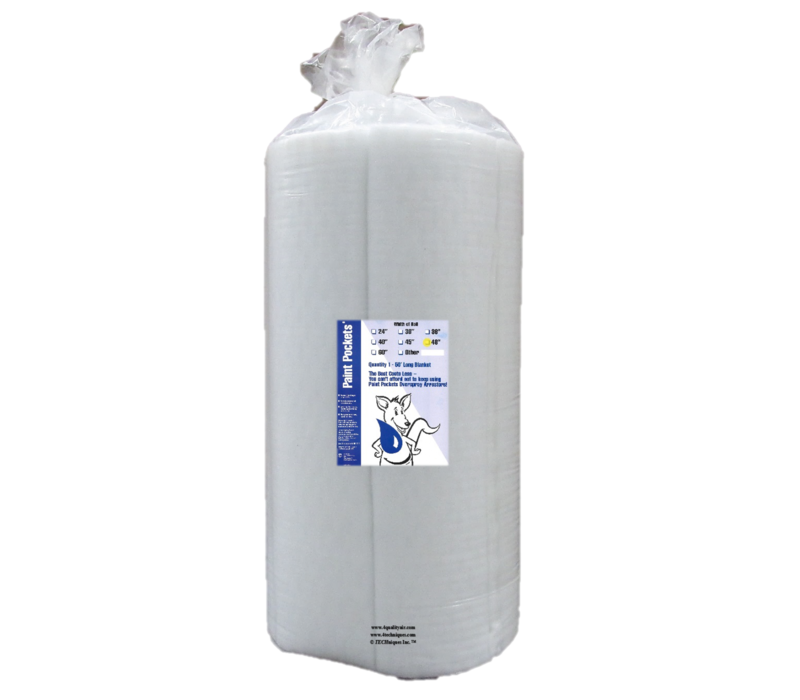 You get up to an 80% reduction in filter changes, a corresponding reduction in waste disposal costs, more than a 50% reduction in backsection and exhaust stack cleanouts, significantly less runoff, and improved transfer efficiency - all in an easy-to-change, user-friendly, polyester filter. Initial Pressure Drop (@100 FPM) 0.06 in W.C. Maximum Pressure Drop 1.00 in W.C.